Home / CRUISING THE PAST / THE NAZI VERSION OF THE “TITANIC” – THE 1943 FILM MADE AT UFA IN BERLIN DURING WORLD WAR II. LINER, SOCIAL AND CRUISE HISTORY: THE OTHER “TITANIC”: THE NAZI VERSION YOU’VE NEVER SEEN… THE 1943 FILM MADE AT UFA IN BERLIN DURING WORLD WAR II. The British took footage from the German film for “A Night To Remember”… the German film, is a very powerful piece of cinema. The film underplays the propaganda message and focuses on the characters instead. It also keeps the anti-semitism to blink-and-you-miss-it. This could have been the reason Goebbels’ banned the film. That and the fact by 1943 the Nazis’ message was turning towards what were called Durchhalteparolen, or rallying cries to hang on in there, such as typified by the 1945 film “Kolberg’. For the best Titanic film ever, seek out Roy Ward Baker’s “A Night To Remember” from 1958. For the worst watch Cameron’s ludicrous “Titanic”! 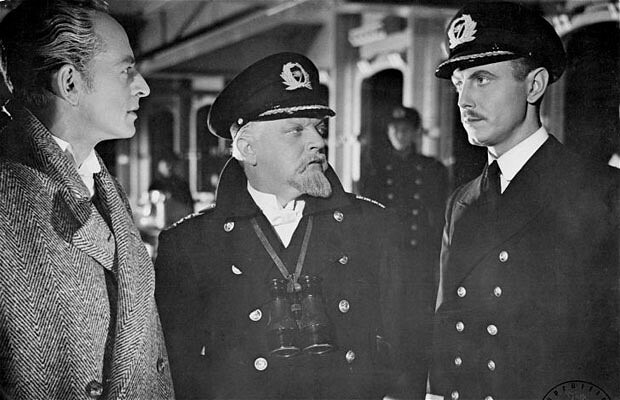 Titanic was a 1943 film made during World War II in Berlin by Tobis Productions for UFA. 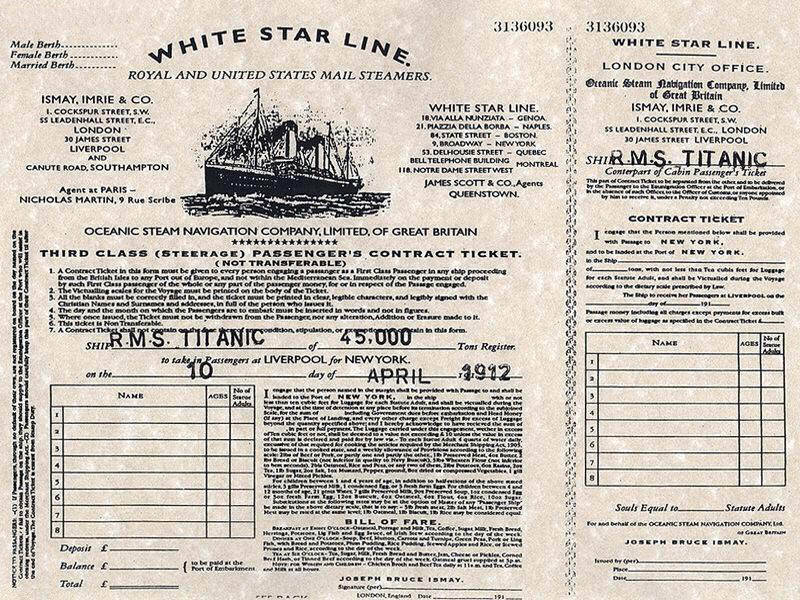 The film used the sinking of the RMS Titanic as a setting for an attempt to discredit British and American capitalist dealings and glorify the bravery and selflessness of Germanic men. The film is known for its extremely dark production history and, ironically, became the symbol of the corruption and “sinking” of the Third Reich itself. Cult icon Sybille Schmitz, who would achieve everlasting fame twenty-seven years after her death when R. W. Fassbinder adapted her unhappy life into his famous film Die Sehnsucht der Veronika Voss, has her most widely accessible role for today’s audience in this film. The film is far better than Cameron’s ludicrous Titanic. On the evening of April 12th 1912, the White Star liner RMS Titanic hit an iceberg in the Atlantic Ocean on her maiden voyage to the brave new world that was America, taking nearly fifteen hundred souls with her into the cold, lonely depths that were to become her final resting place. As with any great tragedy, in time movies are made about them, and the tragic story of the sole outing of the most luxurious, not to mention fastest, liner in the world at the beginning of the last century has been tackled a number of times. Arguably the most famous, but unquestionably the most successful, of course, is James Cameron’s 1997 magnum opus starring Leonardo De Caprio and Kate Winslet (not forgetting fabulous supporting turns from David Warner and Billy Zane), which sails back into cinemas this April in glorious 3D to celebrate both its own fifteenth anniversary and the centenary of the loss of the original ship. Though it took a great many liberties with historical facts in the name of dramatic license, it remains a powerful hybrid of love story and classic disaster movie, and is one of this author’s favorite films, even despite the dangerously high levels of sugar and cheese baked into the script. Thirty-nine years prior to Cameron’s offering, the Titanic’s doomed voyage had previously been brought to the silver screen in Roy Ward Baker’s A Night To Remember (1958), a moving and engaging flick that is still held in the highest regard by many cinephiles, myself included. But a decade and a half earlier there was another film, also called Titanic, which you’ve probably never heard of, but which contains more drama, intrigue, mystery and horror than every other film about the pride of the White Star Line combined; and that’s just the behind-the-scenes story. 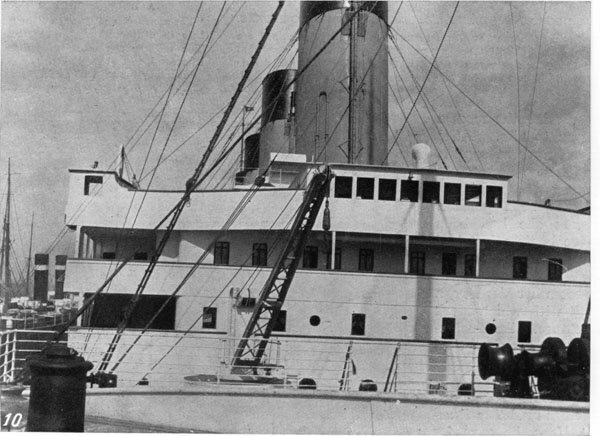 Previous: Cunard Line’s RMS CARONIA – The most famous liner in cruising history… she was the “millionaires yacht”!